Refined Data Solutions works with private companies, higher learning institutions, and government agencies to transform their online education and training systems. Stephen serves Refined Data as a senior project manager, working with clients and the development team to find customized solutions for their learning management needs. This requires his knowledge and skill in programming and development, in addition to an ability to navigate the nuances and facilitate the needs of clients from a business relations perspective. In his time with Refined Data, Stephen has worked with Nike, the American Institute of Architects, Global Knowledge, the U.S. Government, and many other high-profile organizations. Stephen presents 85–100 times each year on technology-related subjects in locations throughout the world. He is frequently invited to present for K2 Enterprises; Western CPE; Accounting Today; and state societies of CPAs, including those in California, Georgia, Florida, Louisiana, Mississippi, North Carolina, South Carolina, Utah, and Washington. His presentation topics include preventing and detecting fraud, Excel tips and solutions, QuickBooks, accounting, budgeting and forecasting, big data, data modeling, mobile technologies, and technology solutions for small businesses, and are always centered on helping practitioners better utilize technology in order to streamline and maximize their business operations. His presentations are lively, relaxed, and always focus on participants taking away technological information that they can begin to institute in their personal and professional lives the moment they leave the classroom. Additionally, Stephen conducts over 100 online virtual events each year for a variety of educational providers. Pyro Spectaculars by Souza is the largest fireworks company in the U.S., producing fireworks displays for events around the world. Stephen’s vast experience with the company includes handling their external marketing; designing their training platform; building their systems utilizing open-source platforms to promote interoperability between platforms, long-term flexibility, and the ability to easily take advantage of future technology; managing the company’s app; and overseeing, redesigning, and launching their new website. In addition to his work with Pyro Spectaculars’ mobile and online technology, Stephen is a licensed pyrotechnic operator and travels throughout the country producing fireworks displays for the company. In this capacity, he has helped produce displays for Macy’s July 4th Spectacular in NYC, the 75th Anniversary of the Golden Gate Bridge in SF, AmericaFest in Pasadena, CA, KGB Skyshow in San Diego, CA, and Burning Man in Black Rock City, NV. As a large, for-profit continuing education provider in the United States, Western CPE requires a technology system that is incredibly versatile. During a five-year period, Stephen completely redesigned and rebuilt their technology infrastructure. The new system seamlessly integrates customer sales, accounting, learning, webinar, staff, and reporting requirements. It is responsible for transacting over $10M in annual sales and managing 65K user accounts, as well as dozens of employee accounts for access and maintenance. The end product is an entirely new technology infrastructure that streamlines employee functions within the organization and leads to an enhanced, smooth system for customers to navigate and purchase products online. Stephen grew up around his family’s accounting practice, eventually joining them as a practicing CPA; but his lasting legacy there is in transforming the firm’s technological infrastructure. At Yoss & Allen, Stephen completely redesigned the firm’s relationship with technology, moving their applications and data to the cloud and diminishing their reliance on a single physical office. In doing this, he helped ensure that the firm’s members could access real-time information and documents from anywhere in the world. It also helped to safeguard the firm in the event of a disaster, as everything is now protected and backed-up on cloud-based storage. Stephen also designed the firm’s client portal, which allows clients and the firm to connect and collaborate more effectively and efficiently. Stephen is a founding member of the Alpha Delta Gamma Alumni Committee. 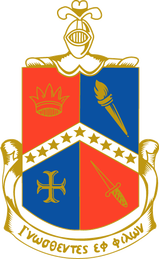 The committee is the organizing body for the alumni of Alpha Delta Gamma at Loyola Marymount University. During his time on the committee, the organization has raised over $125K for student scholarships and $250K in contributions to the university’s capital campaign. Stephen served as the organization’s treasurer and vice-chair of the golf tournament until 2015. He is currently on the executive committee and is responsible for most of the organization’s marketing materials. The Federal Deposit Insurance Corporation (FDIC) approached Stephen when they needed a reboot on the learning platform for their internal CPA staff. Stephen completely rebuilt and redesigned their technology platform, allowing FDIC employees to access their essential education in a variety of delivery formats. 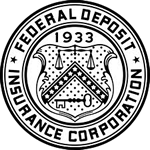 The new system also allows FDIC management to monitor, track, and manage the learning of its staff for reasons of quality control and convenience. Stephen also wrote and replied to their request for protocol (RFP), presenting his solution to committee in Washington DC.